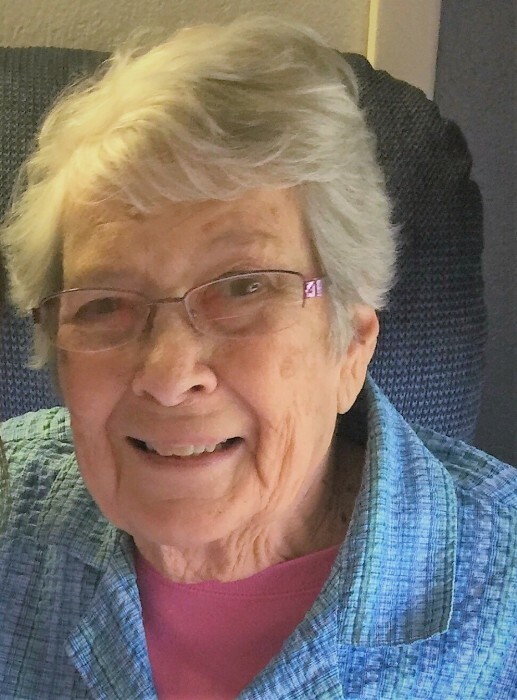 Mary W. (Brown) Ravenscraft, 90, of Aurora, IN, passed away at 12:45 PM, Saturday, November 24th, 2018 at Highpoint Health in Lawrenceburg, IN. Mary was born in Switzerland County, IN on April 29, 1928, a daughter of the late Hazel (Whitham) and Everett Brown. Mary grew up in Switzerland County and was a 1946 graduate of Patriot High School. Mary worked various jobs over the years, including at the Chair Factory and Schenley Distillery. Mary was a "pink lady" at Dearborn County Hospital for several years. She married Charles Ravenscraft on April 11th, 1947 at Grant's Creek Baptist Church. Mary and Charles were married over 50 years until his passing on January 6, 1998. She was a member of the First Baptist Church of Aurora and the Beta Sigma Phi Sorority. Mary enjoyed crocheting, cross stitching, reading and painting. Mary and Charles were also Cincinnati Reds fans and always had the radio tuned in to a game when the team was playing. Mary is survived by a son, William Ravenscraft (Barbara), of Patriot, IN; by grandchildren: John Welling (Andi) , Angela Metzger (Michael) , Melissa Davis (Sam), Rachel Ravenscraft & William Joe Ravenscraft (Heather); by great grandchildren: Elizabeth, Justin, Damien, Sam, Mariah, Cameron, Lucas, Charlie, Austin, Alex, Alizabeth, Noah & Eli. Mary is also survived by two sisters, Lelia Harris, of Somerset, KY and Evelyn Sams, of Aurora, IN; by a brother, Arthur Brown, of Rising Sun, IN; by sister-in-law Debra Brown, of Rising Sun, IN. Mary was preceded in death by her parents, by her husband, Charles, by a daughter, Linda Welling in 2003 and by brothers, Richard Brown, Lester Brown & Norman Brown . Funeral services will be 1 PM, Wednesday, November 28th at Markland Funeral Home in Rising Sun, IN with Pastor Bill Seacrest officiating. Visitation will be Wednesday 11 AM - 1 PM at Markland Funeral Home. Burial will be at New Liberty Cemetery in East Enterprise, IN. Memorial donations may be made to the family (for the benefit of the great grandchildren's education). Cards are available at the funeral home.